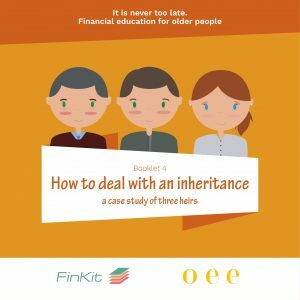 FINKIT BOOKLET SERIES: "It is never too late. 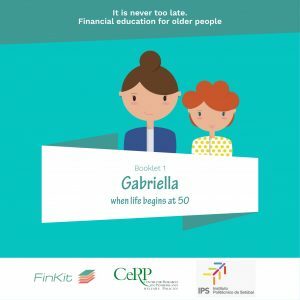 Financial literacy for older people"
This set of booklets – as well as the other tools developed by the Finkit research team - is to be used as a support for social operators to approach and successfully transfer financial knowledge to individuals at risk with the purpose of helping older people to deal with some of the risks that can be associated to their age: financial fragility, risk of being the victim of frauds or manipulations. 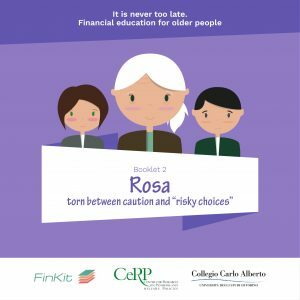 The booklets are meant to be employed in financial education programs as well as in informal training sessions. 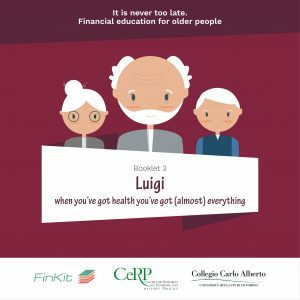 The documents have been written in English and in the languages of the Finkit partners (Italian, French, Portuguese, Spanish). 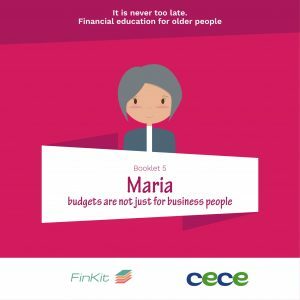 The booklets files/printouts can be requested for free by associations/individuals involved with financial education programs. Please e-mail Silvia Maero (silvia.maero@carloalberto.org).